Intermedia Hosted Exchange Details | Core Technologies, Inc.
Make your costs more predictable. Intermedia’s services let you consolidate your expenses into simple, monthly per-user fees. Protect yourself from digital threats. Beyond our McAfee anti-spam and anti-malware tools, we monitor our network 24/7 to protect your data and services. Develop a hybrid cloud solution. We offer tools for maintaining elements of your infrastructure on-premise, if you choose to do so. Receive free onboarding and migration. To simplify your transition to the cloud, our experts set up your cloud environment and move over all your users and their data. Rest easy with 24/7 phone and chat support. No matter what time you need us, we’ll typically answer your calls within 60 seconds. Intermedia customers can choose between two versions of Exchange. What’s the difference between Exchange and Outlook? On most devices, it’s simple to set up your email, calendars and contacts. You don’t need to call your IT team or type in confusing server information. Instead, you just create a new account and your device sets up and syncs. Intermedia’s hosted Exchange includes ActiveSync technology at no additional charge. ActiveSync ensures that virtually no matter which device you use or what activities you perform, your email, calendars and contacts are in sync and up-to-date. What happens if a user’s device is lost or stolen? With Hosted Exchange, an administrator can remotely remove critical company data, or even deactivate the device’s ability to receive company email. You can also enforce account- or user-specific security policies, including enforced passcodes. 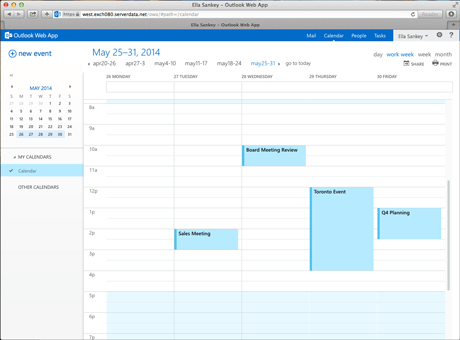 With the Outlook Web App, you get a full-featured, web-based version of Outlook. 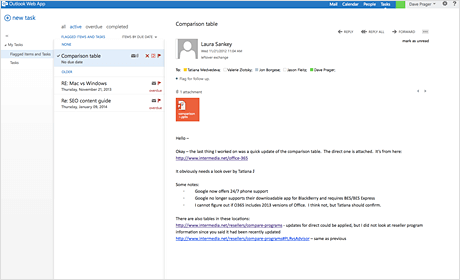 It provides the Outlook experience for email, calendars and contacts without requiring a download. Your changes are synced. With Exchange 2013, OWA is optimized for a touchscreen experience plus offline access. With BlackBerry® hosting, you get two-way, real-time synchronization of your email, calendar, contacts and tasks between your BlackBerry® and your Intermedia hosted Exchange service, with no additional hardware or software to purchase. One of the biggest challenges of any email infrastructure is capacity planning. It’s very challenging for organizations to forecast their growth in order to plan for future storage needs. In an on-premises environment, this creates headaches for operations and procurement. But it’s also a challenge presented by cloud providers that limit the size of user inboxes. It forces you to make a tough choice: do you provision mailboxes conservatively, which will save money but handicap your power users? Or do you spend money to enable your edge users, knowing that you’re paying more for the average user than you have to? Intermedia’s Hosted Exchange eliminates this conundrum by offering unlimited storage. Users never have to worry about the size of their inboxes. Instead, they can use their email as a versatile tool that adapts to their individual preference and style, free of any constraints. Hosted Exchange and other Intermedia services are designed to meet many privacy and security requirements. One example is for Protected Health Information (PHI). Our policies, procedures, technologies and services are audited by an independent party to validate conformance with HIPAA privacy and security requirements, and Intermedia will execute a HIPAA Business Associate Agreement with Covered Entities. If you choose our Compliance and Security Plan, you receive high-security email, file sharing and web application security tools. Everything you need to succeed in today’s regulatory environment from encrypting sensitive correspondence, proposals and research to collaborating on due diligence with private room access controls for documents. All available to your team whether they’re in the office or on the road, with full support for mobile devices. As legal and compliance risks grow, Intermedia’s Company Disclaimer add-on is an effective way to help enforce a company-wide email policy. It helps ensure all your outgoing emails conform to your legal and corporate policies by letting you append information to email sent outside of your own business. Company Disclaimer is managed through HostPilot, the same control panel you use to manage all your Intermedia services. It’s simple to deploy, maintain and update. To facilitate compliance with policies, individual end users do not have the option to edit or remove the disclaimer from their emails. Company Disclaimer can be added to any Hosted Exchange plan for a nominal fee. Email is just the start: There are a number of IT services that you need simply to do business. As the foundation of Intermedia’s Office in the Cloud, Hosted Exchange lets you integrate all these essential services from a single provider. We manage integration, security and mobility so your users and admins stay focused on business. Microsoft’s License Mobility program makes your move to the cloud even more economical. Historically, Microsoft didn’t allow you to use your on-premises volume licenses in the cloud. So you had to buy additional licenses to move to the cloud, making the move expensive for you. However, Microsoft’s License Mobility program lets you deploy your current Exchange and Skype for Business licenses at a Microsoft Authorized Mobility Partner’s datacenter. As a Microsoft Authorized Mobility Partner, Intermedia can receive the transfer of your Exchange or Skype for Business Software Assurance licenses, letting you move to the cloud without needing to purchase additional licenses. In return, we transfer these savings to you via a discounted per-user price on many of our plans. Do you qualify for this program? Microsoft’s License Mobility program is available to its Volume Licensing customers (Server and CAL licenses under Open, Select or Enterprise Agreements). Intermedia can accept Exchange or Skype for Business licenses when they’re covered by active Microsoft Software Assurance (SA) contracts. If you would like to know more Microsoft License Mobility, visit their web site. If you’re already an Intermedia customer, contact your account manager to discuss transferring your licenses. If you’re a new customer, request a custom quote that reflects the value of your licenses. 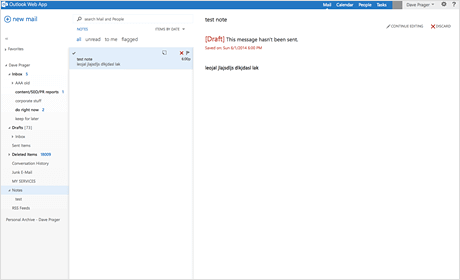 As the latest version of the world’s most popular business email platform, Hosted Exchange 2016 allows users to communicate and collaborate more effectively regardless of location or device—so productivity is never an issue. 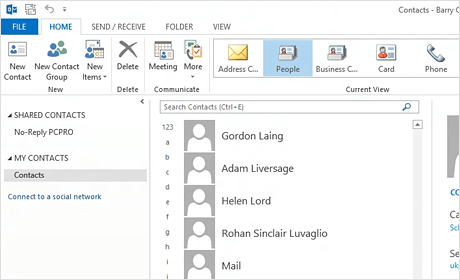 Exchange 2016 delivers enhancements to email, calendars, contacts, Outlook Web App and more. Helping your employees to collaborate and communicate more effectively than ever before. Business is no longer confined to the office. Exchange 2016 is designed specifically for touchscreens, mobile usability and offline productivity. It helps ensure your employees can be efficient regardless of location or device—even when they’re offline. Intermedia has been first to market with every version of Hosted Exchange since 2000. We were the first cloud company to offer Hosted Exchange in 2000 and first-to-market with Exchange 2003, 2007, 2010 and 2013. We were also the first to offer private-label Hosted Exchange. Our competitors—including Office 365—only offer a 99.9% uptime guarantee. That’s just three nines. And while that difference may not seem significant, the difference actually amounts to downtime of over 8 hours. We architect our cloud specifically for reliability, performance, and data protection. Most cloud providers force you into a DIY migration path or “recommend” hiring a migration consultant. But Intermedia is different. HostPilot integrates control over your Intermedia user accounts, services and devices across your locations. It essentially functions as a “business cloud platform”—making your cloud simple to manage while still offering granular control that matches an on-premises environment.